Americans Zack and Abby are bright, young and recently married. He's a doctor combating infant disease. She's an actress, also teaching yoga. It's just before Christmas and they're living the expat highlife in bohemian Belleville, Paris. This acclaimed play about a romantic dream gone sour receives its UK premiere. Michael Longhurst (Amadeus, National Theatre; Constellations, Royal Court, West End and Broadway) directs at the Donmar for the first time. *Workshop: The Donmar Warehouse will also be hosting an Open Workshop from 5:00 to 7:00 pm before the performance on the 24th. To attend that, you must book separately with the theatre. 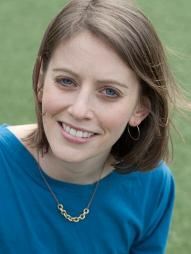 *Post-show discussion: After the show, journalist and playwright Tamara Micner '07, who trained under Herzog at Yale, will be hosting an informal discussion. This is included in the price of your ticket, but please click here to register, so we know what size venue to arrange.